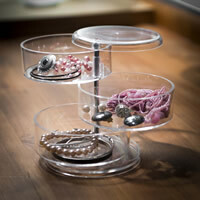 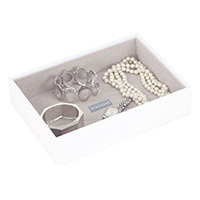 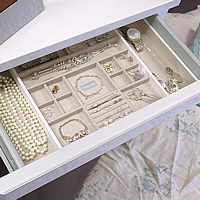 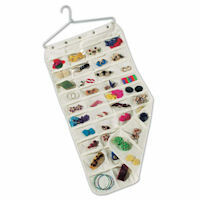 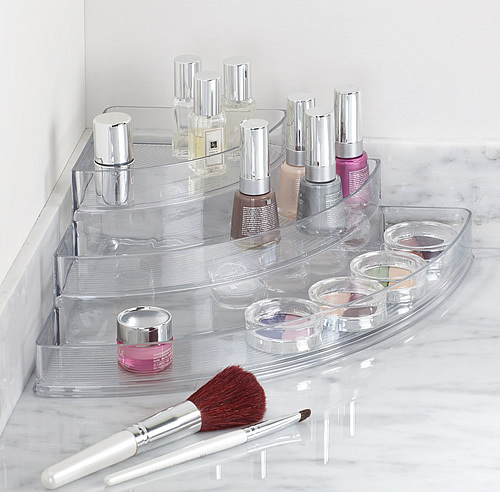 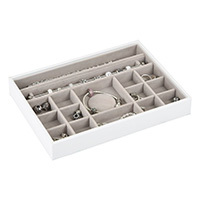 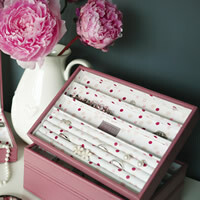 We love our best-selling crystal clear 3-tier corner organiser which which is ideal for cosmetic storage. 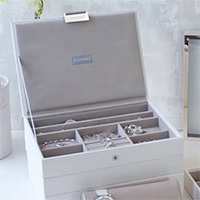 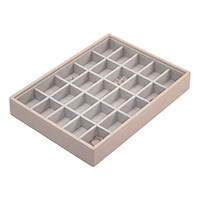 The unit has handy raised lips around the edges to help keep things in place when moving the organiser and the tiers makes for plenty of storage in a compact space-saving shape. 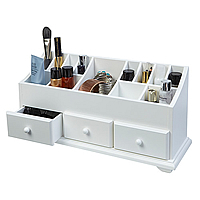 Use in the bedroom or bathroom to store nail varnishes and make-up etc, in the bathroom for medication or (as one of our Chester STORE customers suggests) in the kitchen to store herbs and spice jars.